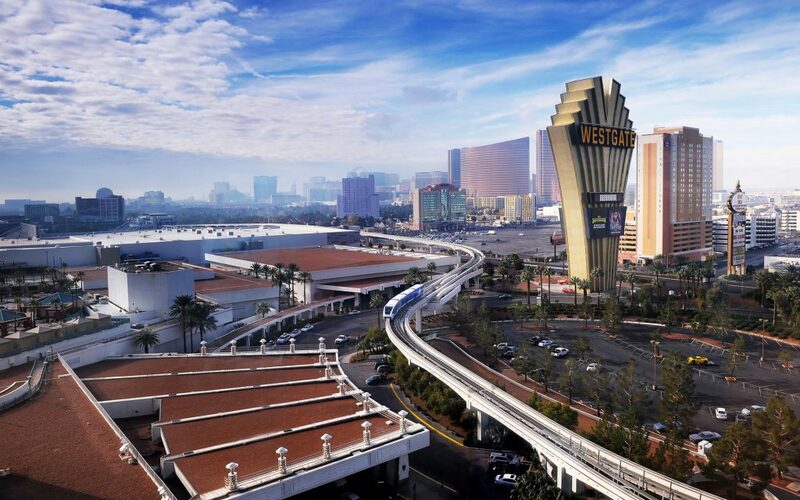 Las Vegas, Nevada, USA - January 1, 2015: A Las Vegas Monorail Train travels on an elevated monorail system and moves passengers along a route approximately parallel to the Strip in Las Vegas. 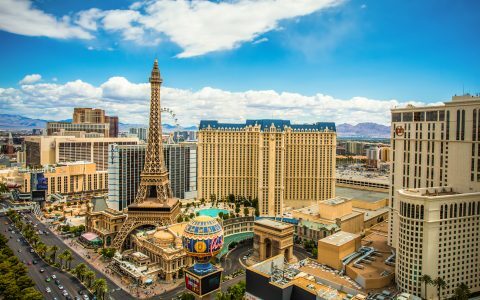 Nevada’s Las Vegas strip has long held the reputation as Entertainment Capital of the World, and with the upcoming introduction of legalized cannabis for adult use, the state will have the opportunity to become the country’s, and possibly even the world’s, leading canna-tourist destination. 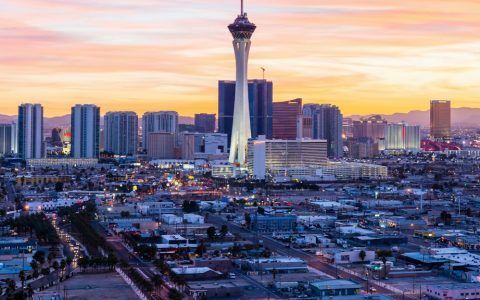 For cannabis-curious vacationers, Las Vegas offers a chance to safely try something new in a city that’s famed for its anonymity. “What happens in Vegas stays in Vegas” is the city’s notorious motto, meaning that many tourists from states that may not look too kindly on cannabis use will have the opportunity to try it in a safe, legal environment. Retail cannabis stores begin operating in Nevada in July. 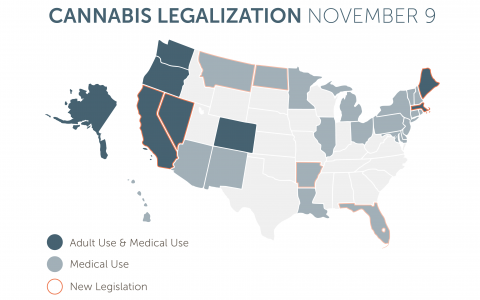 The current market in Nevada relies mostly on in-state qualified patients, with the occasional out-of-state patient taking advantage of Nevada’s medical marijuana state reciprocity, usually visiting from neighboring California. However, adult-use legalization has the opportunity to change all of that. Once the doors open for tourists to visit cannabis shops, the market will be exploding with both new cannabis consumers and business opportunities, unlocking a new stream of revenue for licensed retail cannabis shops. We spoke to TJ Wright and Demetri Kouretas, General Manager and CEO of The Grove, Leafly’s #1 rated dispensary in Nevada, to gain a better perspective on the current market and how legalization will change things. As of February 2017, there are 26,519 registered medical marijuana patients in Nevada, but the demand for cannabis is high. 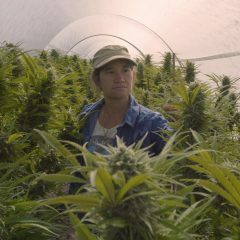 “We see at least 10 people a day coming in to ask [about purchasing cannabis],” Kouretas tells Leafly. After Oregon transitioned from a medical marijuana market to a new combined medical and adult-use cannabis market, dispensaries saw a huge spike in sales. 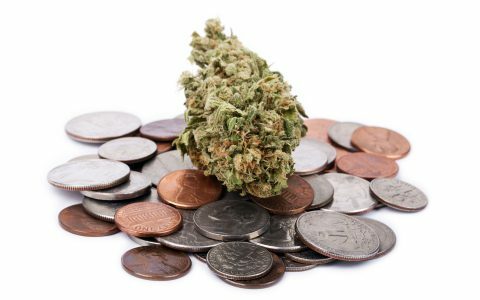 The Oregon Liquor Control Commission had estimated that cannabis sales would generate between $17 million and $40 million annually. However, when the final totals were tallied for 2016, sales from adult-use cannabis in Oregon topped $60 million in revenue and $240 million in total sales. When a market explodes in growth, businesses must compete with each other to stand out to potential customers. 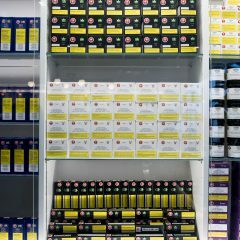 Because the cannabis industry must comply with tough marketing restrictions, dispensaries, manufacturers, and other cannabis businesses are forced to think of some outside-the-box ways to market their business. For example, Brad Zusman, owner and operator of CannaDaddy’s in Southeast Portland, noticed a distinct return on investment after signing up with Leafly, and after trying several tiers of Leafly packages, he recognized the value of maintaining an active Leafly presence. Oregon’s boom in sales are likely to be only a drop in the bucket compared to the revenue potential in Nevada. More than 55 million visitors a year visit the Silver State, and medical marijuana sales alone produced $121.6 million in 2016. 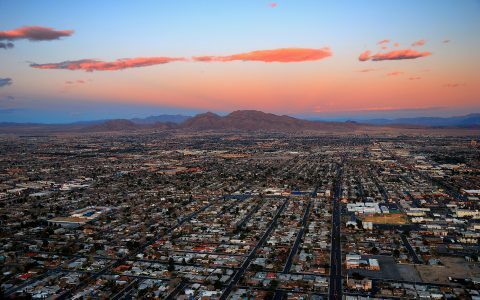 With the introduction of a legal market, Arcview Market Research and New Frontier have predicted that by 2020, Nevada could be seeing as much as $629.5 million in sales to adult consumers. This new clientele will come pouring in from all over the country, as well as from across the globe, to visit what may well become the new hot cannabis tourist destination for consumers. In addition to the typical cannabis enthusiast, Nevada is more likely to see an influx of consumers who might otherwise be interested in the medicinal and therapeutic benefits of cannabis, but have not been able to sample it due to federal or state restrictions. 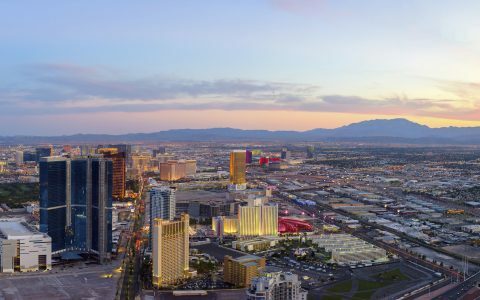 Nevada could very well become the new cannabis mecca, drawing visitors from far and wide to test the waters of newly legal cannabis. How will your business stand out when the floodgates open July 1? Not to mention, our crappy public schools in Nevada will improve once recreational gets off the ground and a chunk of its tax revenue goes toward education. I appreciate confirmation that NV is pushing forward with rec sales as of 7-1-17, although not another detail is mentioned. I do not appreciate a Leafly ad being not so cleverly disguised as an unreadable “news” piece regarding the cannabis industry. 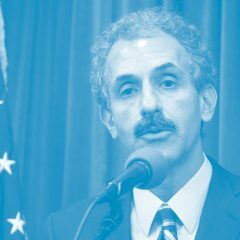 The push towards national legalization is largely dependent on honest and forthcoming positions taken by the legalization crowd. This (whatever the above is supposed to be) is not helping matters any. I shall not plead for a greater degree of journalistic integrity (an oxymoron for 40 years or so), but I shall plead for just a little integrity. 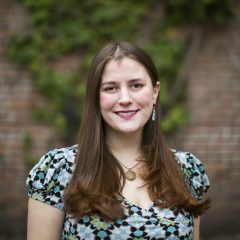 Market your site with advertisements please.